"The Caribbean has a powerful, modern tradition of fantastic literature that's on full display in this anthology of original fiction by writers from Barbados, Trinidad and Tobago, and Bermuda...None of these writers is likely to be familiar to American audiences, but all are worth getting to know. Readers who love the writing of Nalo Hopkinson, Tobias S. Buckell, and Lord herself will savor this volume." 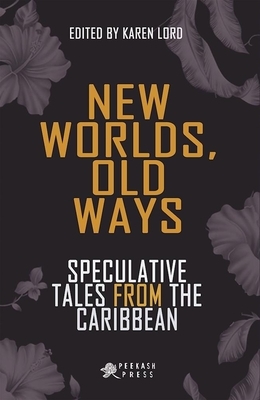 "New Worlds, Old Ways fulfills its promise of arriving at a recognizable genre of Caribbean speculative fiction. Prior to this collection we have not had any reader-friendly approaches that have directly addressed the genre of Caribbean speculative fiction. Lord, and the various writers in this collection, have given readers access to a hitherto unexplored genre, one that differentiates as well as connects to the treasure trove of Caribbean literature. The collection is a boon for scholars and reading aficionados of the Speculative Fiction genre. And as the editor states, true to its world, New Worlds, Old Ways offers both depth and delight without disappointment. It suggests tthat if one looks closely enough, they will find that Caribbean fiction has always been speculative." Do not be misled by the "speculative" in the title. Although there may be robots and fantastical creatures, these common symbols are tools to frame the familiar from fresh perspectives. Here you will find the recent past and ongoing present of government and society with curfews, crime, and corruption; the universal themes of family, growth and death, love and hate; the struggle to thrive when power is capricious and revenge too bittersweet. Here too is the passage of everything--old ways, places, peoples, and ourselves--leaving nothing behind but memories, histories, and stories. Read for delight, then read for depth, and you will not be disappointed. Brand-new stories by: Tammi Browne-Bannister, Summer Edward, Portia Subran, Brandon O'Brien, Kevin Jared Hosein, Richard B. Lynch, Elizabeth J. Jones, Damion Wilson, Brian Franklin, Ararimeh Aiyejina, and H.K. Williams. New Worlds, Old Ways is the third publication of Peekash Press, an imprint of Akashic Books and Peepal Tree Press committed to supporting the emergence of new Caribbean writing, and as part of the CaribLit project. Karen Lord, a Barbadian author and research consultant, is known for her debut novel Redemption in Indigo, which won the 2008 Frank Collymore Literary Award, the 2010 Carl Brandon Parallax Award, the 2011 William L. Crawford Award, the 2011 Mythopoeic Fantasy Award for Adult Literature and the 2012 Kitschies Golden Tentacle (Best Debut), and was longlisted for the 2011 Bocas Prize for Caribbean Literature and nominated for the 2011 World Fantasy Award for Best Novel. Her second novel The Best of All Possible Worlds won the 2009 Frank Collymore Literary Award, the 2013 RT Book Reviews Reviewers' Choice Awards for Best Science Fiction Novel, and was a finalist for the 2014 Locus Awards. Its sequel, The Galaxy Game, was published in January 2015.